The Marine Corps released an interesting update this morning: An AV-8B Harrier squadron out of Marine Corps Air Station Yuma, Ariz., will soon replace a Hornet squadron out of MCAS Beaufort, S.C. in Afghanistan. 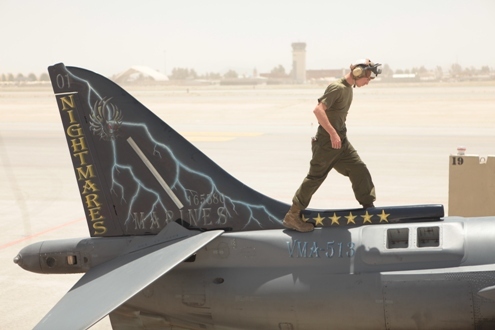 Yuma’s Marine Attack Squadron 513 has arrived at Kandahar Airfield, and will replace Beaufort’s Fighter Attack Squadron 122 beginning today, according to this news release. Like the Hornet squadron, VMA-513 will operation from KAF to provide close air support to Marine and Afghan forces in southwestern Afghanistan. They’re scrambled in for help when there are “troops in contact” with the enemy on the ground, typically known as a TIC.